Everything for the digital Dungeon Master! 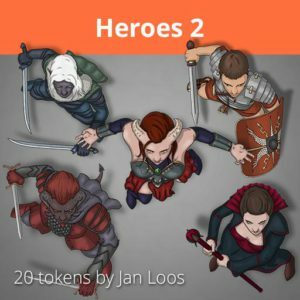 In this article I will show you the process of how I create a top down token for Roll20. 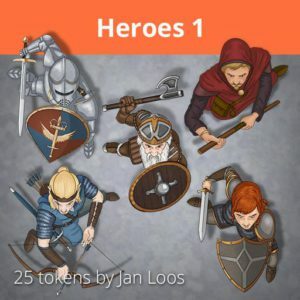 You can use these tokens on other virtual tabletops such as Fantasy Grounds, and use them to represent your characters in roleplaying games like Dungeons & Dragons, Pathfinder, and Shadowrun. To follow along with this article, you will need to download Daz3D studio. A free program that you can use as anatomy and pose reference. You will also need a digital painting program, preferably Adobe Photoshop. A drawing tablet is recommended. Let me tell you a secret. I am not that good of an artist. If you would ask my to draw a token by hand, without reference, it would probably look like something a toddler would have drawn. However I have been teaching myself some tools that make creating art so much easier. One of those tools is Daz3D. We will use this program to pose a character as a reference. It is like a digital manikin doll. You can download Daz3D for free, and have access to their male and female base character. Once you have opened up the program, and added the female or male doll, you can start posing. There are multiple ways to pose the character. The first one is just to click a body part and drag it around. One issue with this, is that when you reach the maximum amount of movement that the body part can make, it will start pulling on the rest of the body. 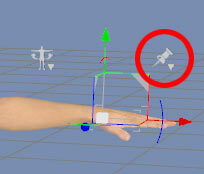 One way to solve this problem is by clicking the pin at a body part and select ‘pin rotation’ and ‘pin translation’. This way, that body part will always stay in place when you drag around the other body parts. Pin the rotation and translation of the chest if you want to move the arms about. You can also pin down the feet, and then drag the hips down to make your character squat a little. Another way to pose your character is by using the parameters panel. With this panel you have much more control. I usually rough in the pose by just dragging the body parts around, and then refine it by using the parameters panel. 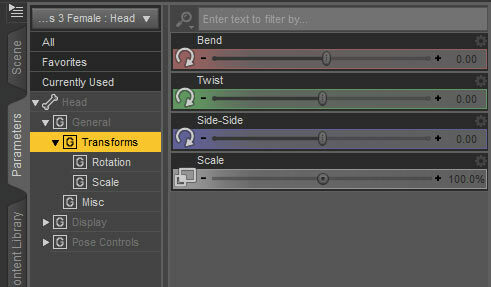 To use it, open up the parameters tab on the right side, and then click a body part. Now you can bend, twist, and ‘side by side’ the body part. Axe, shield and pose from marketplace. Body morph to a shorter, more muscled female. As said before, Daz3D is a free program, but you can however buy premium content from their marketplace. The amount of things that you can find on there are absolutely amazing. One of the things that I use often is weapon props. Once installed, they will automatic be placed in the hand of choice of my character. Body morphs are also amazing, they can change my characters body type from slim to heavy, muscular, tall and short. I also have bought some poses that I can already drag on top of my character, and then I just have to refine them to look pretty top down. 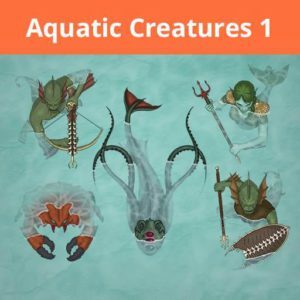 There are many other amazingly useful extra’s for Daz3d, such as characters, hair styles, clothing, armor, animals and creatures that you can pose such as dragons and horses, environments and much more. Make sure you take a look. Once we have posed the token in the way we want, it is time to render it. Change the view to hover above the figure, by dragging the view cube. You can also double click the edges on the cube to go to that view. I like to put the view on the top-front axis. 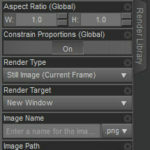 Next, we click the render tab and go to render settings. Here you can tweak all kinds of settings that I have not much knowledge of just yet. 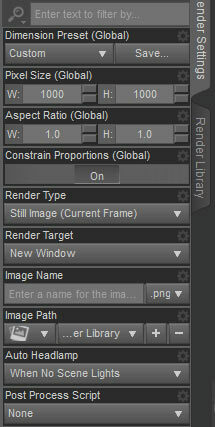 But for my render, I use the settings shown in the image. The render usually takes about 10 minutes to complete on my computer. 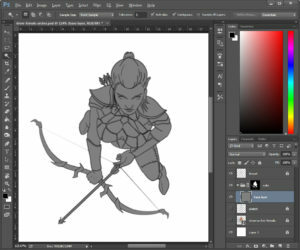 For this article I rendered a female archer. You can have it as a freebie, to draw your own token on top of. Time to open up Photoshop. We create a canvas at 560 by 560 pixels on 72 dpi, RGB color mode. Once the image is opened, we drag in the rendered DAZ3D image in a new layer. We resize the layer to neatly fit the canvas size. We call the layer ‘pose reference’, put it on 40% opacity, and lock the layer. Now we add another layer on top, that we call sketch. 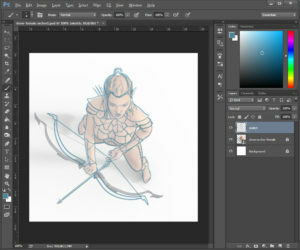 We start to sketch in with a light blue color, 100% opacity, 4 pixel hard brush with size jitter: pen pressure turned on. I also turn on Opacity Jitter in the transfer tab and control it with pen pressure. Follow along with the video tutorial! One of the parts I struggle with the most, is adding the hair. I always use a lot of references. It is pretty hard to get good references for top down hair, but making screenshots of top down video games really helps. First you will need to sketch in the edge hair line, and then the hair line where the hair parts. Then we will sketch in some strands of hair, that come out of the parting line. After that we will clean up the hair and add more strands. Keep erasing and adding until it feels about right. One thing that there is plenty of reference for on the internet is weapons and armor. One thing I like to do, is using the weapons as a reference, but don’t just sketch a copy of them. It is a lot of fun to mix and match. The weapons and armor really show a bit of the characters story and culture. 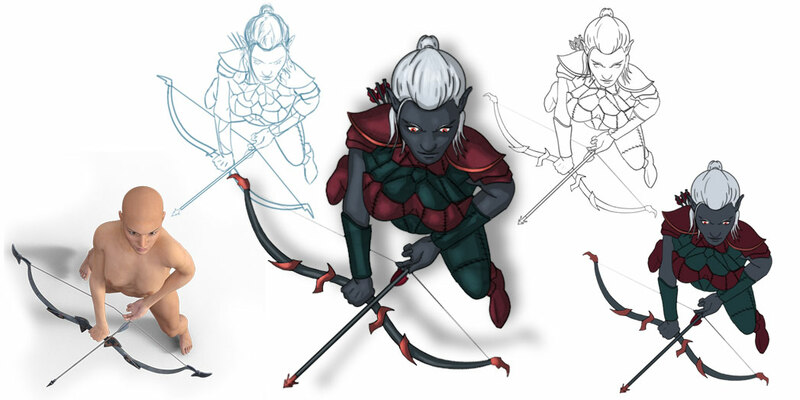 For example for a drow character, it might be fun to add elements of spiders and spider webs, because they worship the spider goddess Lolth. 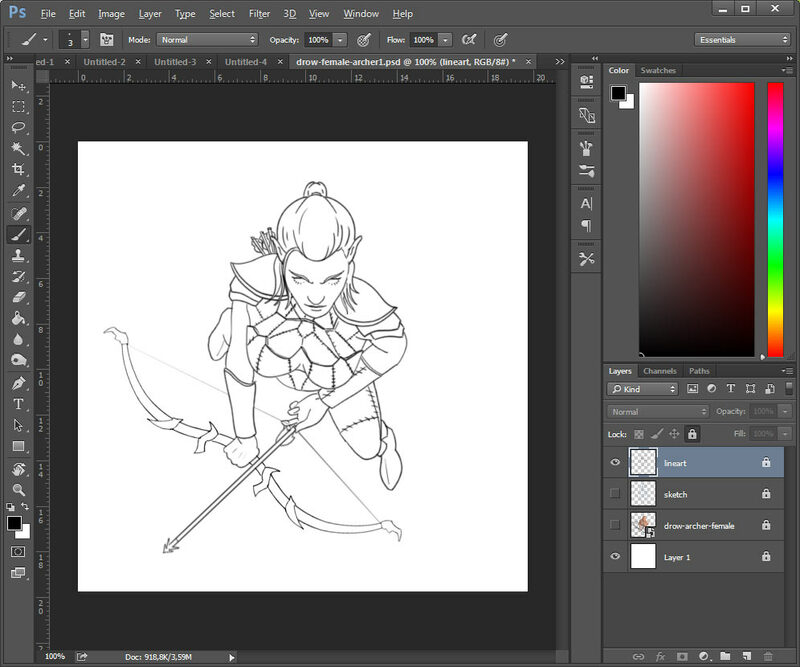 Once the sketch is in place, it is time to create another layer called Line Art. Make sure all the underlying layers are locked, so that you don’t accidentally draw in them. For my line art I use a hard round brush, 3 pixels, smoothing turned on. Size jitter set on pen pressure. One thing that I always struggled with, was getting smooth lines. It is true, that it gets much better with practice, but sometimes I like to cheat. I use a program called Lazy Nezumi, it is a collection of tools to do all kinds of stuff, like draw isometric, draw in perspective, but the tools I use most are the smoothing presets. Creating the line art is a time consuming process. Sometimes I draw and undo a single line 10 times before I get it right. So don’t worry if your lines are not perfect in the first go. Now it is time to really bring the character alive. Don’t forget to lock all your layers before going any further. 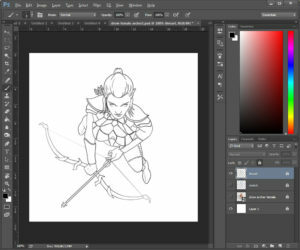 If you made clean line art, it will be quite easy to block in the colors. Use the magic wand tool on the line art layer to select all pieces of the background. Then go to the menu, select -> modify -> contract. Contract your selection by 1 pixel. With your selection active, create a new group, and use the active selection as layer mask by pressing the layer mask button. You might need to invert the layer mask for it to work properly. Call the group ‘colors’. Then add a base layer within the group of 50% grey. Clean up the mask, by painting along the edge with a black brush. Make sure to clean out any parts that the magic wand didn’t get, especially at sharp corners. Follow along with part 3 of the video tutorial! Now we will add layers for all the different parts of our character. 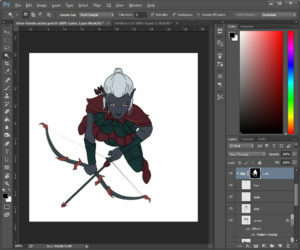 Add a layer for hair, skin, eyes, armor and weapons. It is the easiest to order these layers from top to bottom. Hair first, then skin, then eyes, armor/clothing, and weapons. This way your artwork is a little forgiving when you accidentally paint outside of the lines, because the other layer will be on top of it. Carefully start blocking in the colors. Don’t make them to bright, or to dark, since we will be shading and adding highlight later on. I like to ‘steal’ colors from reference images. Just find an image on the internet, then use your eye dropper to pick a color from it, and use it to paint in your own artwork. Now it is time to decide where the light is coming from. For my token, I image that the light is coming from the bottom left of the canvas. 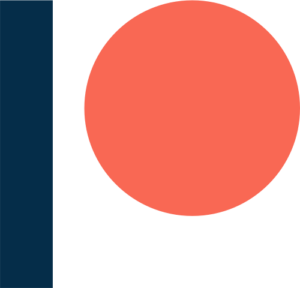 Add a layer with clipping mask on top of each of the color layers, and put them on blending mode ‘multiply’. Select a color around 75% grey, and start painting in the shadows on the opposite of where the light is coming from. If you feel that a layer has to strong of a shadow, just turn down the opacity of that layer. Next we will add another layer on top of all the color layers, and put them in ‘overlay’ blending mode. Again we will select a color around 75% grey, and we will start painting in the highlights. Remember that the highlights on highly reflective surfaces like metal will be high in contrast and have hard edges, and the highlights on more dull materials like unpolished leather, or skin will be more soft. We can achieve the soft highlights by turning down the layers opacity a little, and then using a light gaussian blur on it. Create a new layer called ‘shadow’. 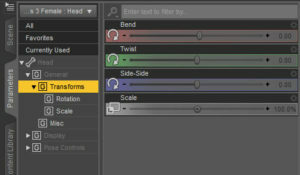 Control click the layer mask of the ‘color’ layer to create a selection, then invert the selection. Fill the layer with 100% black. This is the shadow that the character drops on the ground. It will make your token pop up from the screen, and it is easier to distinguish your token when playing on a light background. Transform the selection so that the shadow drops in the right direction. I like to put the shadow layer on 40% and add a gaussian blur of 8 pixels. Delete the background layer, so that your token becomes transparent. Then go to file -> save, and save it as PNG. There you go, your token is finished! It usually takes me between 1,5 to 3 hours to create a token like this. I hope you enjoyed. 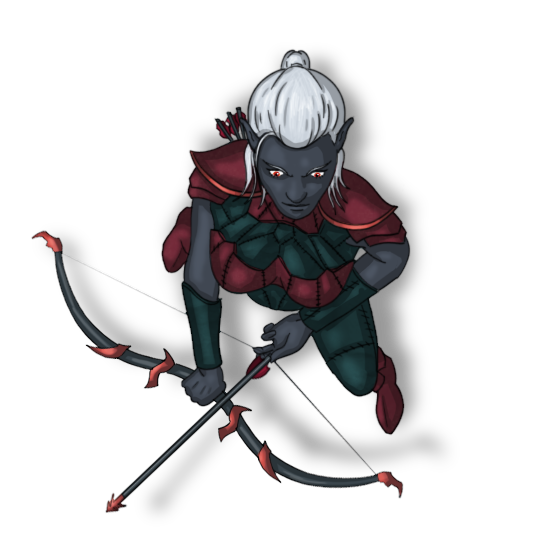 You can use this Drow token for free in your adventures. 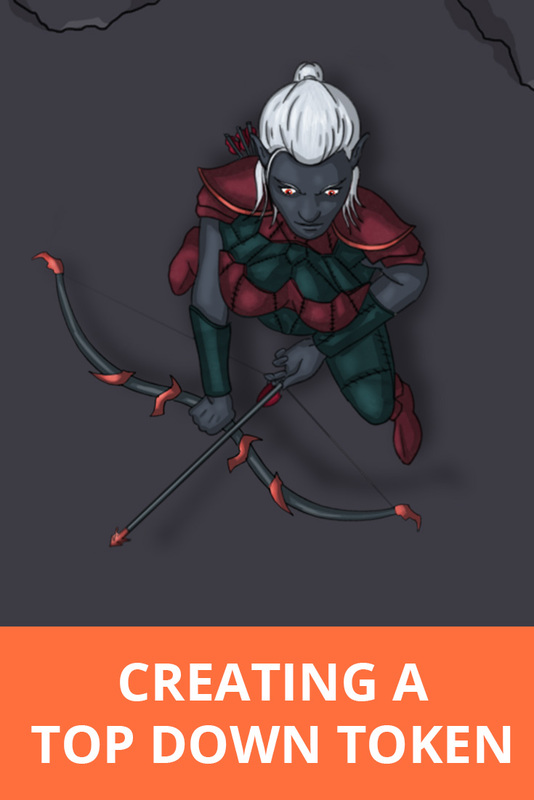 Female drow archer token freebie! 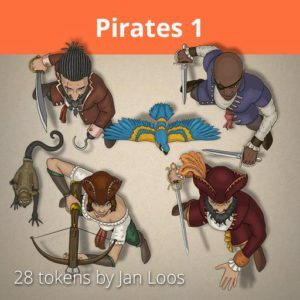 If you enjoyed this article, you can show your support by checking out my artwork on the roll20 marketplace! Online Tabletop © 2019. All Rights Reserved.